Easy beanie knitting pattern. Free. 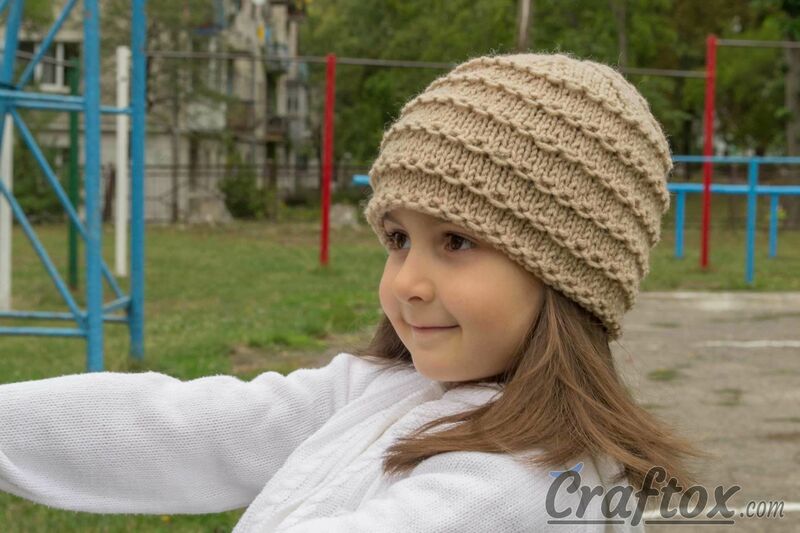 A beautiful, practical hand-knitted hat. 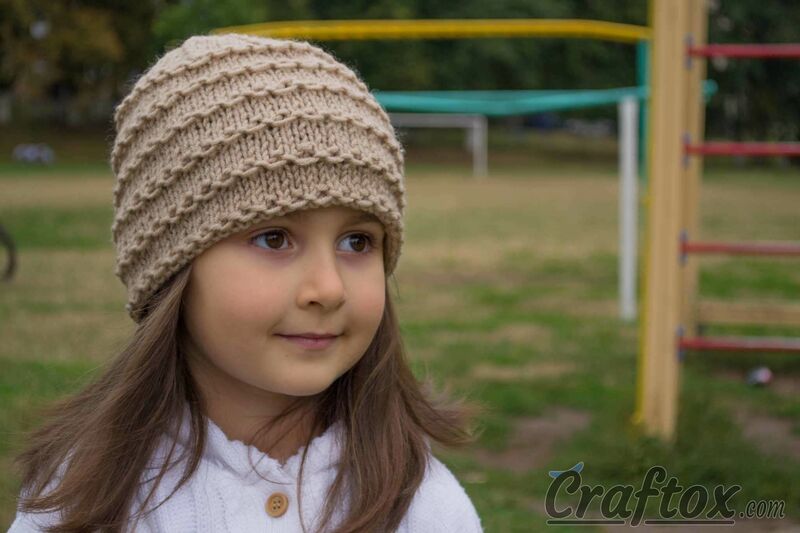 It will suit a little girl or older girls. A model is stylish and pretty, it is good both for autumn and winter. 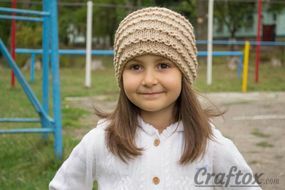 The hat is very easy to make, it will be knitted just in a few hours. It is perfect for beginners in hand-knitting. 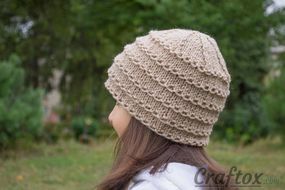 The simple-patterned hat, knitted of yarn of a beautiful colour, will make a glamorous complement to your image. Length of head circumference: 52-56 cm. 70 grams of yarn 49% – wool, 51% – acrylic (160 m per 100 grams). 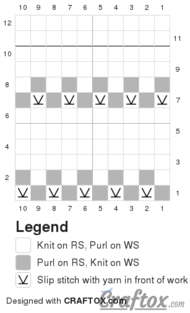 Rows 5-6: Repeat Rows 3-4 once more. 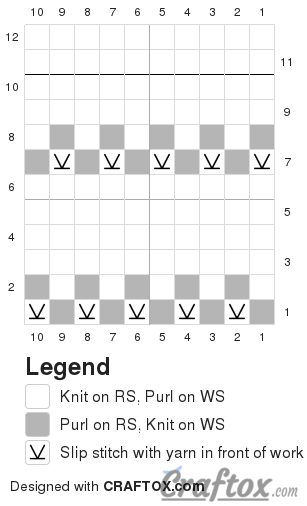 Rows 20-31: Repeat Rows 8-19 once more. Pull together the last 10 stitches. 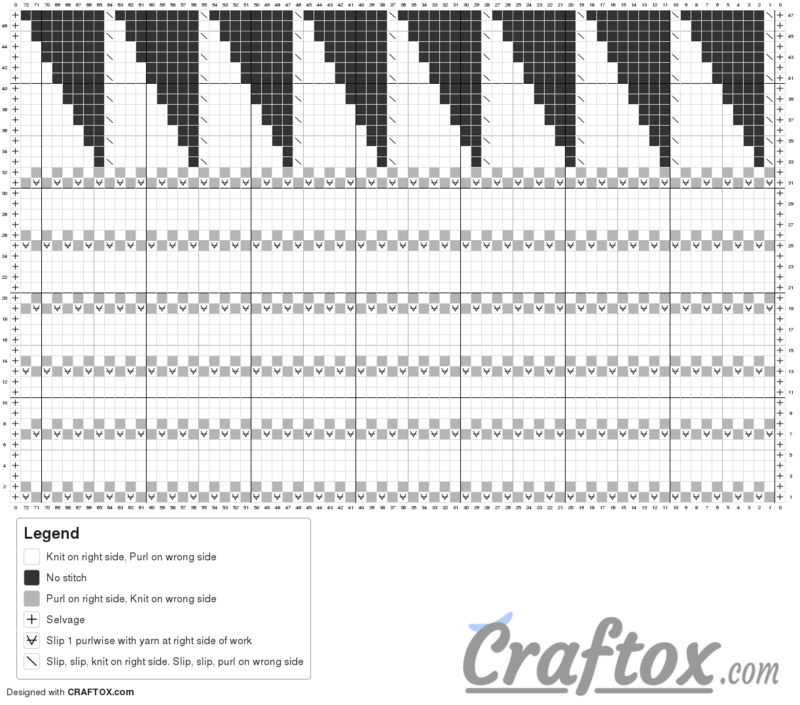 2017-08-29: The written pattern, pattern info was corrected and one chart was added. 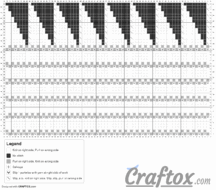 Knitting pattern (chart) 1. 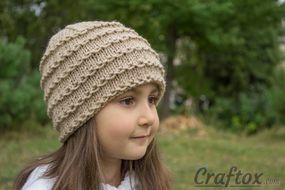 Easy beanie. Free. Chart 2. Easy beanie. Free.